Concepción Velasco Varona was born on 29 November 1939, in Valladolid, Spain and is best known as an actress, who played Rosalía de Bringas in ‘‘Tormento’’, an award winning movie, and as a singer and TV presenter. So just how rich is Concha Velasco as of early 2018? According to authoritative sources, this actress has net worth of over $4 million, with her wealth being accumulated from her over six decades long career in the entertainment industry. Prior to becoming an actress, Concha studied dancing. She went on to make her acting debut with the role of Bailaora in ‘‘La Reina Mora’’ in 1955, then appeared in several minor roles in Spanish movies, before in 1960 starring in ‘‘La Paz Empieza Nunca’’, portraying Paula in the film which earned the Special Award for Best Film. Concha was then cast to play Antonia, the main character of ‘‘El Indulto’’ in 1961, in addition to working on several other supporting roles during the same year. Remaining busy throughout the following period, she landed the starring role in ‘‘La Verbena de la Paloma’’, which ultimately won the Prize of the National Syndicate of Spectacle for Best Film and Best Artistic Achievement. 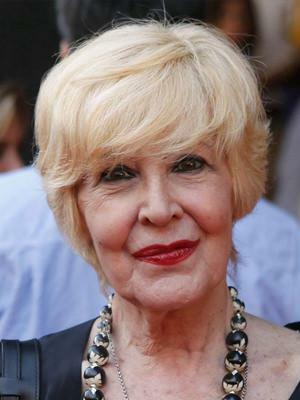 After that, Velasco briefly appeared on television, working on projects such as ‘‘Primera Fila’’ and ‘‘Confidencias’’, but most importantly, she made another movie in 1966 – ‘‘Viaggio di nozze all’italiana’’, starring side by side with Tony Russel. In 1971, she played the main character of ‘‘La Red de mi Canción’’ in the Spanish comedy drama movie, and then had yet another major role in ‘‘Tormento’’, a critically acclaimed movie in which she played Rosalía de Bringas, and which earned seven awards such as Prize of the National Syndicate of Spectacle and Best Spanish Language Film, whereas Concha herself received, four awards including the Sant Jordi Award for Best Performance in a Spanish Film (Mejor Interpretación en Película Española), Prize of the National Syndicate of Spectacle for Best Female Star, certainly boosting her net worth. In the upcoming year, Velasco had eight more acting gigs, most importantly starring in ‘‘Pim, Pam, Pum… !Fuego!’’, a Spanish drama film written by Pedro Olea and Rafael Azcona. In 1977, Velasco joined the cast of ‘‘Esposa y Amante’’ in the starring role, and in 1984, she had a role on television, being cast to play Teresa de Ávila in ‘‘Teresa de Jesús’’, a critically appraised religious television serie – her portrayal earned her Antena de Oro, Fotogramas de Plata and TP de Oro awards. She went on to act mostly in movies, in 1996 joining the cast of ‘‘Yo, una mujer’’, in which she played the main character, Elena Andrade, starring alongside Víctor Valverde and Ramón Langa. Additionally, she was a guest star in several episodes of ‘‘Compañeros’’ in 1998. In 2007, she played one of the most important characters in ‘‘Boystown’’, then in 2011 Concha began working on ‘‘Grand Hotel’’, a critically acclaimed crime drama television series, and appeared in its 39 episodes. When it comes to Velasco’s latest projects, she played Doña Carmen Cifuentes in 2017 in ‘‘Las Chicas del Cable’’, which won an Ondas Award and was nominated for two more. Besides that, her film ‘‘La Mancha Negra’’ in which she’ll star, will be released in 2019. To conclude, Concha has been involved in more than 100 projects so far. Besides being an actress, Concha is also a singer and has performed in four episodes of ‘‘Memòries de la Tele’’ and ‘‘Cine de Barrio’’ in 2007 and 2013, respectively. When it comes to her private life, Concha was married to Paco Marsó from 1977 until 2005, and has two children from her marriage. 3 Had a long relationship with José Luis Sáenz de Heredia. 4 Claims her favorite characters are Santa Teresa de Ávila, Carmen Orozco and Madame Rosa. 5 First grandson, Samuel (son of her son Paco Marsó and daughter in law Cecilia), was born on November 13th, 2008. 6 Was mother-in-law of actress Valeria Arribas and they also worked together in a play. 7 Aunt of Manuela Velasco. 8 Sister of Manuel Velasco. ¡Porque yo lo valgo! 2009 TV Movie documentary performer: "Chica ye yé"
A Love to Keep 2006 TV Movie performer: "Chica ye yé"
Nuestra mejor canción 2004 TV Movie performer: "Chica Ye-Yé"
Geniales: Concha Velasco 2004 TV Movie performer: "La chica yé-ye"
París Tombuctú 1999 performer: "Los loritos"
El sueño de una noche... vieja 1997 TV Movie performer: "¡Mamá, quiero ser artista!" La noche de los magníficos 1996 TV Movie performer: "El Porrompompero"
¡Mamá, quiero ser artista! 1989 TV Movie performer: "Por eso estoy aquí", "La Manuela", "La florista sevillana", "¡Mamá, quiero ser artista! ", "La pasarela", "El tropezón", "Sueños de amor", "Horchatera valenciana", "Las chicas de la Cruz Roja", "La reina de copas"
Especial Nochevieja 1986: Viva 87 1986 TV Movie performer: "Las mujeres al poder"
Especial Nochevieja 1984: Viva 85 1984 TV Movie performer: "Chica ye-yé"
Las chicas de la Cruz Roja 1958 performer: "Las chicas de la Cruz Roja"